2017 marks the 10th year that the Upstate Family Resource Center has been impacting lives. With your help we know that we will continue to impact lives and strengthen our community. Our Giving Tree Program gives you a fun and meaningful way to make a donation in honor or memory of some ones birthday in 2017. 2. 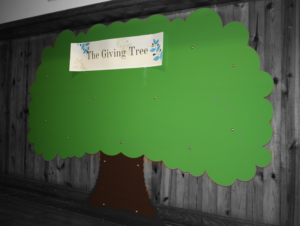 Your honoree’s name will be noted on our beautiful Giving Tree and we will send a very special card announcing your gift and its impact. Your gift will help sustain the work of the Center and make a testament to our community that you care. Make a secure donation here.